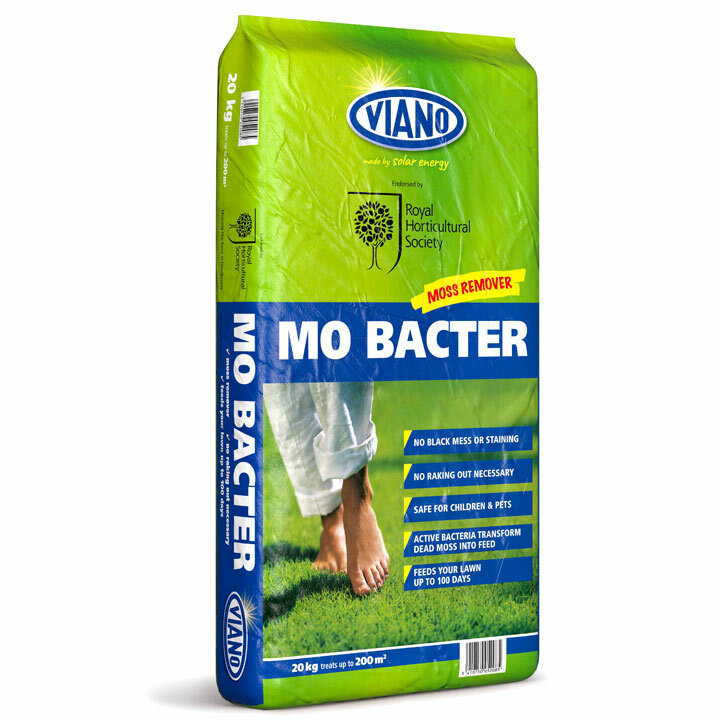 MO Bacter is an Organic Fertiliser which will feed your lawn for 100 days, stimulating fresh grass growth and destroying moss without turning it black, therefore, removing the need for raking out the dead moss. 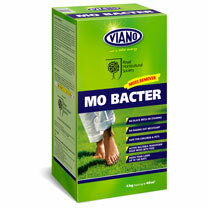 It does not contain any chemicals, it destroys the moss by secondary action. It does contain a very safe bacteria which is found normally in the soil. This eats dead organic matter and converts it into plant food. It will not scorch the lawn even if it does not rain after application. 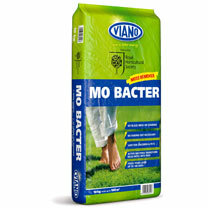 Unlike most other moss killers MO Bacter does not contain sulphate of iron, removing the possibility of staining. You are able to overseed after approximately 4 weeks after application to fill in any bare patches present. 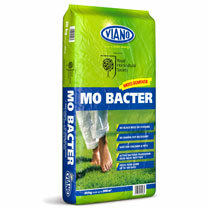 As MO Bacter is Organic it is perfectly safe to put any grass clippings on the compost heap after mowing. As well as this it is safe for children and pets - although like all fertilisers pets should not be allowed to eat it.